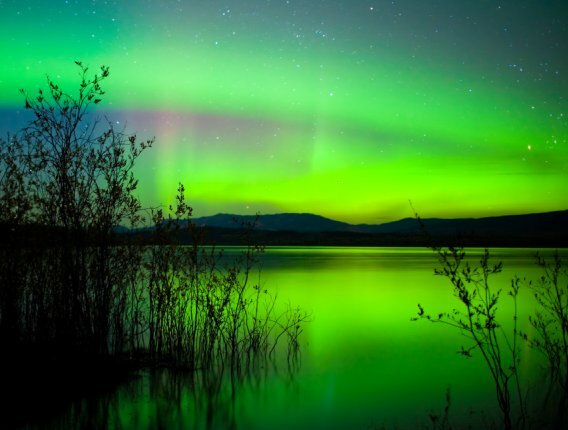 NOAA Issues New Magnetic Storm Watch -- Northern Lights Show Possible. UPDATE 1: Storm Watch Extended to 48 hours. UPDATE 2: Storm Watch Now Extended to 96 hours. UPDATE 3: NOAA Just Now Cancels Storm Watch. Storm no longer expected. 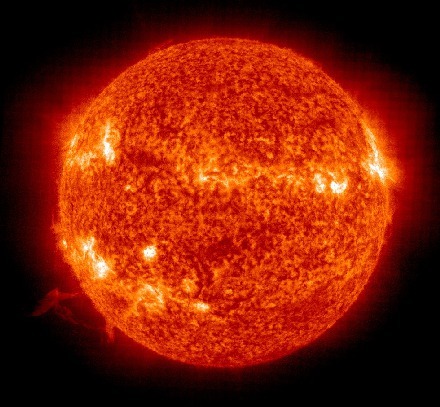 As a part of a somewhat unusual cluster of magnetic storm watches, the National Oceanic and Atmospheric Administration (NOAA) Space Weather Prediction Center has issued a 96 hour minor magnetic storm watch indicating a Coronal Mass Ejection (CME) or a high speed solar wind stream emanating from the Sun may be heading towards Earth. These fast moving charged particles can cause a Northern Lights display. NOAA estimates the CME currently headed towards Earth might produce a Kp number of 5 (minor storm), but that's never fully known until it hits Earth. The storm watch issued March 15, 2015 was also predicted to be minor, but it hit early and with tremendous power, pushing the Kp to nearly 9.